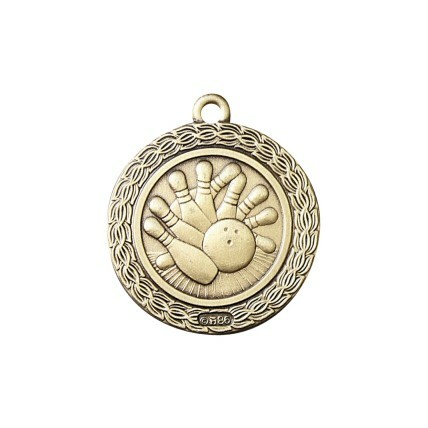 End your bowling tournament by presenting the winners with this awesome medallion! 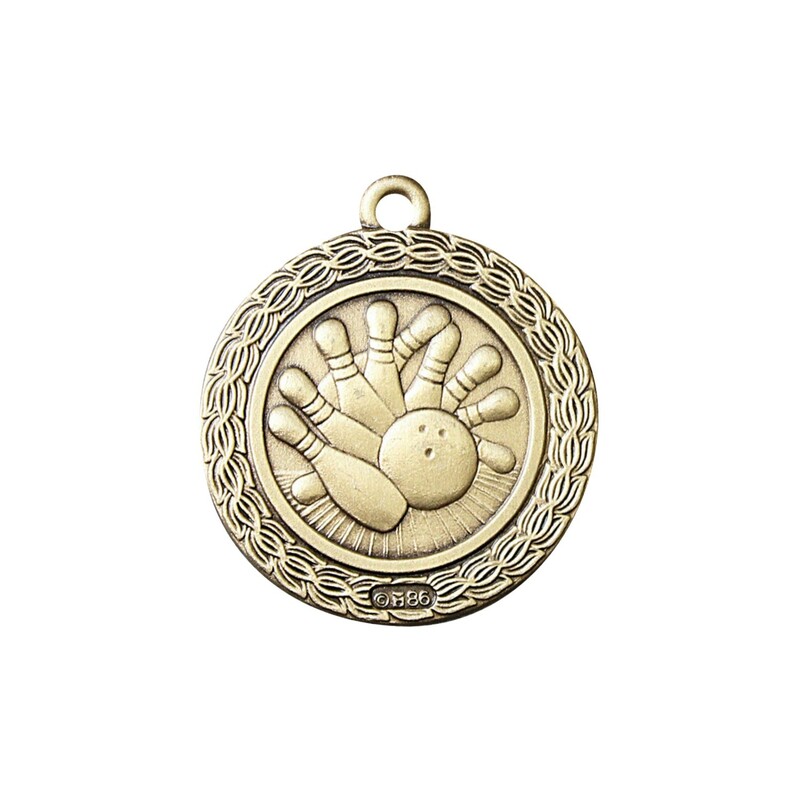 The Small Premium Bowling Medal is available in gold, silver, and bronze and is 1.35" in diameter. 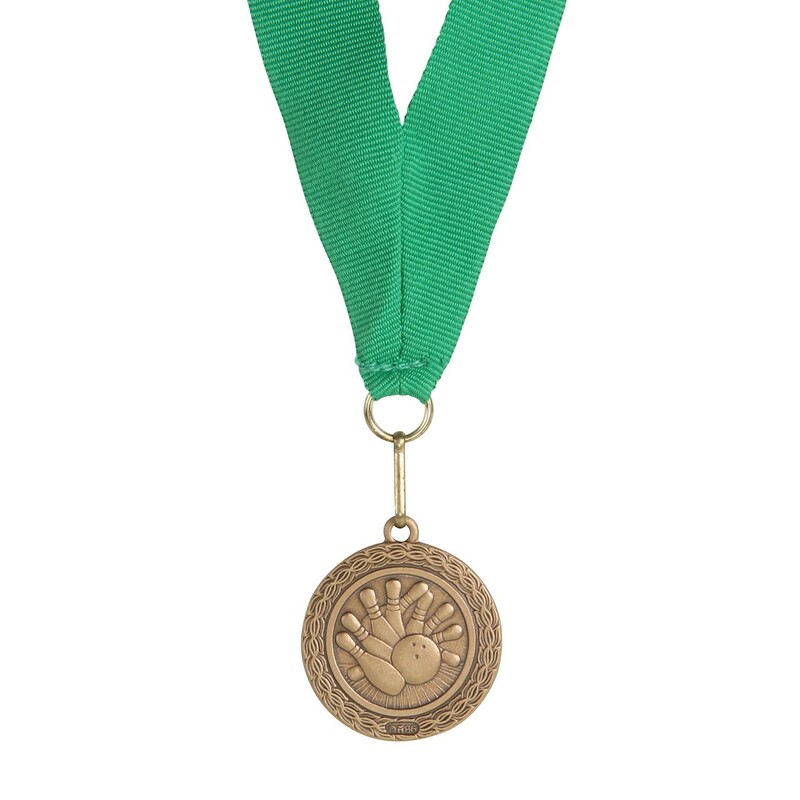 Featuring a ball hitting the pins, this medal is great for mixed teams. 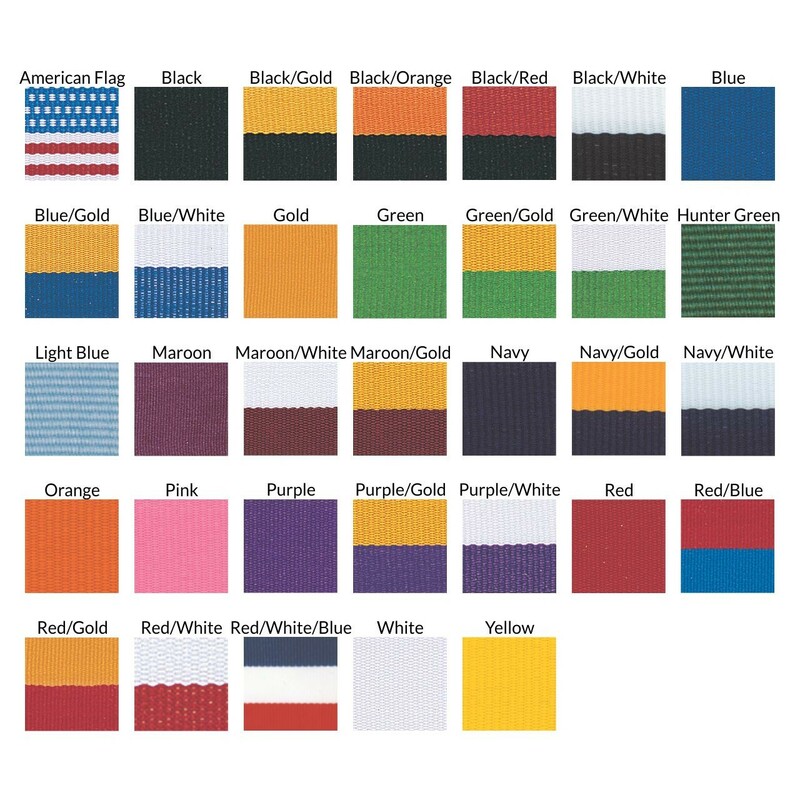 Choose a neckdrape or keychain option for display. Free engraving!